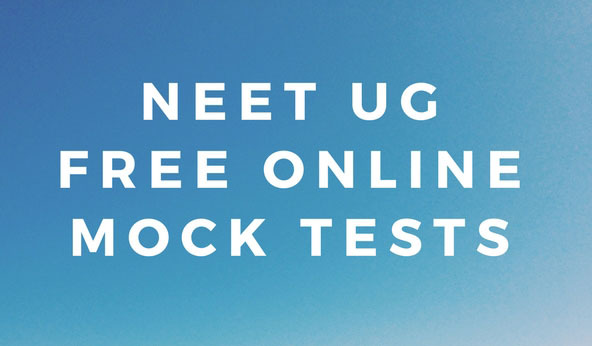 Mock tests are available for all 3 subjects for NEET-UG- Physics, Chemistry and Biology. For each test 10 questions will be selected randomly. The time for each test will be 5 minutes. One question will be displayed at a time, you can select the correct answer and save it for the next question. 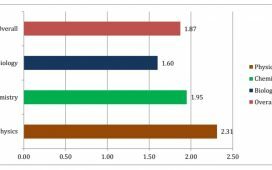 Your score and the correct answers will be displayed at the end of the test. You can restart the test with a new set of questions. The practice set series is mobile view compatible. Kinematics, Laws of Motion, Work, Energy and Power, Thermodynamics, Gravitation, Properties of Bulk Matter, Oscillations and Waves etc. Structure of Atom, Classification of Elements ,Periodicity in Properties, Chemical Bonding and Molecular Structure, States of Matter: Gases and Liquids, Thermodynamics, Equilibrium, Redox Reactions, Hydrogen, s-Block Element (Alkali and Alkaline earth metals), Chemical Kinetics, Hydrocarbons etc. Cell Structure and Function, Plant Physiology, Biology and Human Welfare, Diversity in Living World, Biotechnology and Its Applications, Reproduction, Human physiology , Ecology and environment, Genetics and Evolution, Structural Organisation in Animals and Plants, etc. The best neet biology mocks I ever attended. Physics and chemistry are also good. A must for every neet candidate? Thank you Neenu for your comment. We are making the exams better day by day by including more and more questions. Can I take the test? Any registrations required?